So, yesterday’s Rorate Caeli post reporting that Cardinal Francesco Coccopalmerio was going to deliver what “is said to be the official reply to the four cardinals’ dubia” at a press conference today ended up being a false alarm. 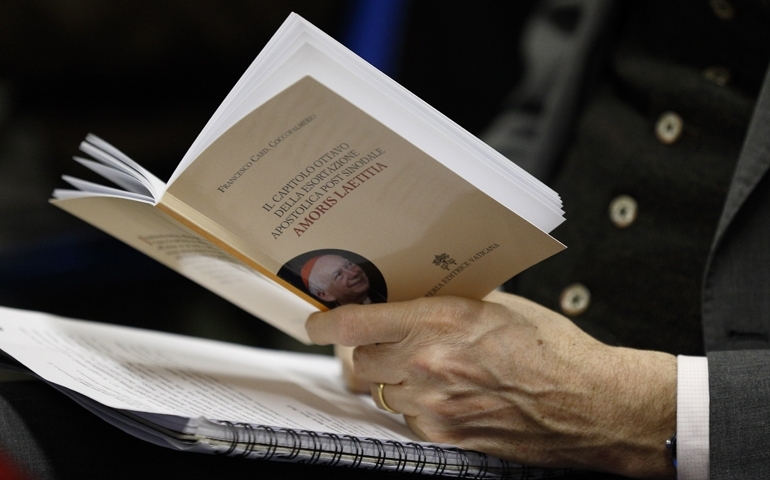 The press conference, which was a presentation of the cardinal’s book on Amoris Laetitia, written at Francis’ behest, still happened; it’s just that Cocco was a no-show due to a supposed scheduling conflict. We thank the Holy Ghost, Supreme Protector of the Orthodoxy of the Church of Rome — and Coccopalmerio surely noticed His presence, as President of the Pontifical Council for the Interpretation of Legal Texts, in an official Vatican press conference, could surely be interpreted as an official response on the potential heterodox matters present in Amoris Laetitia and currently being questioned for clarification. “Potential heterodox matters?” Really? Like the idea that God desires that men should persist in mortal sin? Maybe Cocco’s absence today really was divine intervention. Then again, maybe the source of yesterday’s report simply got it wrong and the press conference never really was intended to serve as “an official response” to the dubia; something quite understandable given the climate of secrecy, fear and confusion that pervades Bergoglio’s Rome. First, might I suggest that those who shudder at the very thought of Francis providing answers to the dubia just might be guilty of placing too much confidence in the man himself, and far too little in the Office of Peter and the Holy Ghost, Supreme Protector of the Orthodoxy of the Church of Rome? 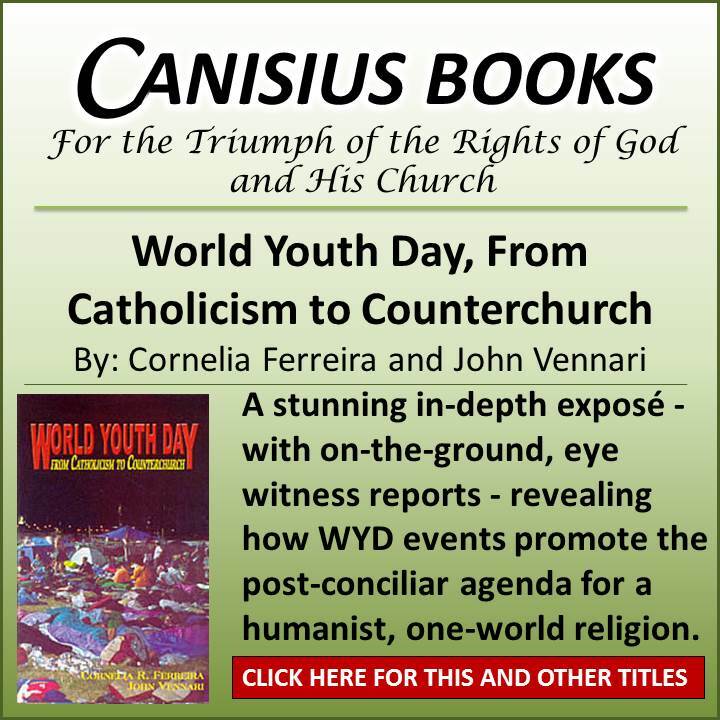 It would seem to me that those who are unprepared for the pope to respond to five simple “yes/no” questions – queries that a twelve year old Confirmation candidate should be able to answer in his sleep – have a major problem. In other words, when the prospect of Francis judging himself a formal heretic and thus no pope at all represents a challenge to one’s faith so immense that the status quo appears preferable, clearly there is a profound lack of sensus Catholicus at play. Francis, in any number of ways, has already answered the dubia! 1. It does not matter one way or the other if those who, while bound by a valid marital bond, live together with a different person in a marital way are granted absolution in the Sacrament of Penance and thus to admitted to Holy Communion without fulfilling the conditions provided for by “Familiaris Consortio” n. 84. 2. It does not matter one way or the other if one regards as valid, or not, the teaching found in “Veritatis Splendor” n. 79, based on Sacred Scripture and on the Tradition of the Church, on the existence of absolute moral norms that prohibit intrinsically evil acts and that are binding without exceptions. 3. It does not matter one way or the other if one affirms, or not, that a person who habitually lives in contradiction to a commandment of God’s law, as for instance the one that prohibits adultery (cf. Mt 19:3-9), finds him or herself in an objective situation of grave habitual sin (cf. Pontifical Council for Legislative Texts, Declaration, June 24, 2000). 5. It does not matter one way or the other if one regards as valid, or not, the teaching found in “Veritatis Splendor” n. 56, based on Sacred Scripture and on the Tradition of the Church, that excludes a creative interpretation of the role of conscience and that emphasizes that conscience can never be authorized to legitimate exceptions to absolute moral norms that prohibit intrinsically evil acts by virtue of their object. Let’s be honest here, folks, it doesn’t take any knowledge of Catholic doctrine whatsoever to connect the aforementioned dots; much less is it necessary for the “proper authorities” to tell us what anyone with common sense can plainly see. I would remind readers that every Catholic is required to give the assent of faith to the aforementioned truths divinely revealed; i.e., there is no gray. Obstinately adhering to the erroneous position that said teachings are “gray” and therefore optional, as Francis most certainly is, in itself represents a repudiation of dogmatic truth; i.e., it is heresy – plain, simple and recognizable to all who possess even a basic understanding of Catholic doctrine. Yes, but does all of this add up to Francis being a formal heretic? If a Pope would formally profess heresy he would cease, by that act, to be the Pope. It’s automatic. And so, that could happen. At this, let’s take a look at a treatment of the topic provided by theologian Dr. John Lamont as recently published at Rorate Caeli. It would mean that his adherence to these positions is not claimed to be formally heretical, but is taken to be simply erroneous, i.e. to be made in ignorance of the fact that they are rejections of divinely revealed truth. The reason for taking this stand is presumably that any Catholic, and especially the Supreme Pontiff, should be given the benefit of the doubt when they express heretical views, and not be accused of heresy until they uphold these views pertinaciously after being informed that the views are heretical. Does anyone with even a feeble grip on reality sincerely believe that Francis, after being presented with numerous appeals citing infallible dogmatic teaching, is truly unaware of the fact that his views are heretical? Those of you who are still tuned-in may find it interesting that Dr. Lamont went on to say [with my emphasis added]. Some might argue that the dubia and other criticisms of Amoris Laetitia that have been made already suffice as warnings to Pope Francis [NOTE: this is my position], and hence that he can now be judged to be guilty of the canonical crime of heresy. These criticisms might be said to make it clear to informed observers that Pope Francis is in fact a heretic rather than simply in error. But for juridical purposes – especially for the very serious purpose of judging a Pope to be a heretic – they do not suffice. The evidence needed for a juridical judgment of such gravity has to take a form that is entirely clear and beyond dispute. A formal warning from a number of members of the College of Cardinals that is then disregarded by the Pope would constitute such evidence. I am genuinely surprised by how often this comes up: As I found myself repeating many times in my exchange with Robert Siscoe, there is no authority on earth capable of judging the pope; only he can judge and reveal himself as guilty of formal heresy. I am being somewhat facetious, but the fact of the matter is there simply is no formal procedure in place for issuing such a warning. To be more specific, there is no canonical process in place to warn, much less remove, a pope. Simple; canonical procedures are an expression of the Church’s authority over her subjects, and the pope is not under the authority of the Church. Is it not enough to present, and publicly so, the pope with the opportunity to remove the suspicion of heresy from himself simply by confirming his assent, and the faithful’s obligation to likewise adhere, to five fundamental, divinely revealed truths, the rejection of which (apart from sheer ignorance) removes one from the Body of Christ? In the light of the fact that Pope Francis has openly endorsed heretical understandings of Amoris laetitia in his letter to the bishops of the Buenos Aires region of Sept. 5th 2016, it is more likely than not that he is in fact a formal heretic. Francis has more than done his part; he has made his will and thus his relationship to the Body of Christ plain for all to see. May it please Our Lord for the “proper authorities” to formally declare as much so that, as the eminent 18th century theologian Fr. Pietro Ballerini said, “all might be able to be equally on guard in relation to him;” including those who are as yet unprepared to face the present reality head on. After reading the account of Our Lady of Lasallette, I wondered how Our Blessed Mother could possibly be holding Her Son’s Arm back, still. Maybe She is not able to anymore. This has, after all, been a horrific time of persecution to us, in the Church. I guess we deserve it too. God will fix things when He’s ready. It seems that the times are just about perfectly ripe either for some major persecutions or for Our Mother’s Immaculate Heart to reign. I hope God spares us, in His Perfectly Beautiful Church, from what we all surely deserve, either due to our own sins or for the sins of others. Let’s be ready. Neo-Caths and pseudo trads crack me up. If you told them three years ago that Francis would release such a document as AL they would have told you that that is impossible and the cardinals and bishops would never stand for it. Well, 95% of cardinals and bishops have stood for it as well as many neo’s and semi-trads. I know someone that said prior to Laudato Si that if Francis was to publish the environmental encyclical and state that climate change is mostly man made that this would be draw the line in the sand for him. Anyhow, Laudato Si was released and he buckled at the knee, unable to walk the walk. It’s OK, nothing to see here folks. You know what I’ve noticed? 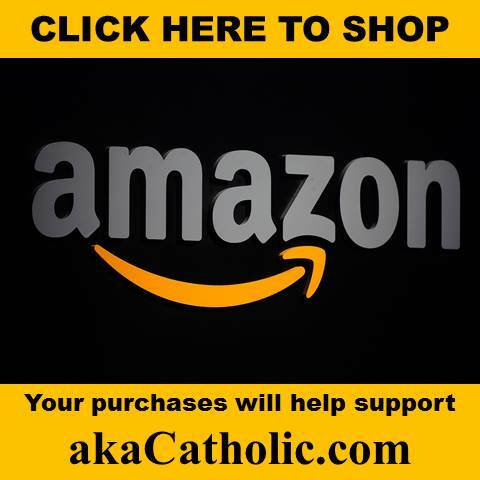 What “pro-lifism” became to the so called conservative/neocats “Amoris Laetitia” has now become to trads/neotrads in the sense that just like the neocats were blinded to the most grievous errors committed by Pope John Paul II against the 1st commandment so long as he was “pro-life”, likewise “trads” have now become willing to overlook the same exact errors totally destroying the Church up to this moment (ecumenism, religious liberty, collegiality) that Card. 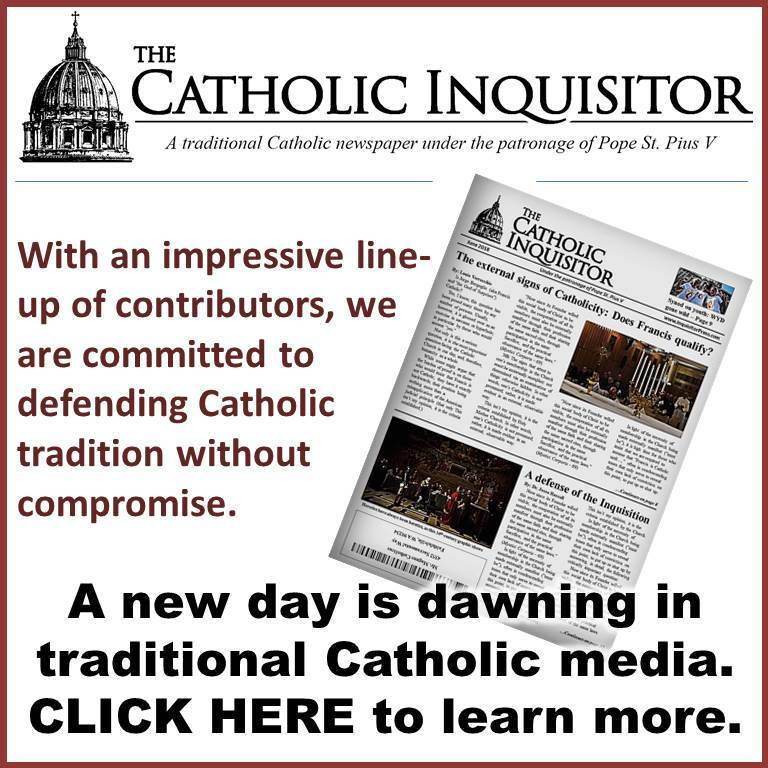 Burke and other dubia Cardinals including Bishop Schneider promote just as long as they take a stand against “Amoris Laetitia.” As PJPII was the “saint” for the neocats Cardinal Burke has become like the “saint’ for neotrads which ultimately means there is really no difference between the two groups anymore since there is really no diffference between their two heros, PJPII and Cardinal Burke, when it comes to embracing the deadly errors of VII which I thought is what trads originally were suppossed to be taking a stand against. These are the fruits of compromising with error on the least and smallest thing all for the sake of getting along or a false unity. Dear John: excellently said. What we will end up with is a disgusting, watered-down version of Arminian Evangelical doctrine, with occasional references to Our Blessed Mother in a futile attempt to deceive the faithful. It is bound to fail. “similar directives issued for the Diocese of Rome over which he presides as Ordinary” I don’t mean to defend Francis, but it seems all the articles I read did not provide a link or any source, for example, the name of the guidelines or bishop’s pastoral letter to back it up. Can anyone provide the source? I know someone who speaks Italian can translate it. If this document exists itself can condemn Francis as a heretic. “Pope” Francis is only a consistent “product” of Vatican II. The next “pope” will be the same AKAprotestant, it can’t be different. You can’t expect good fruits from Vatican II thorn. 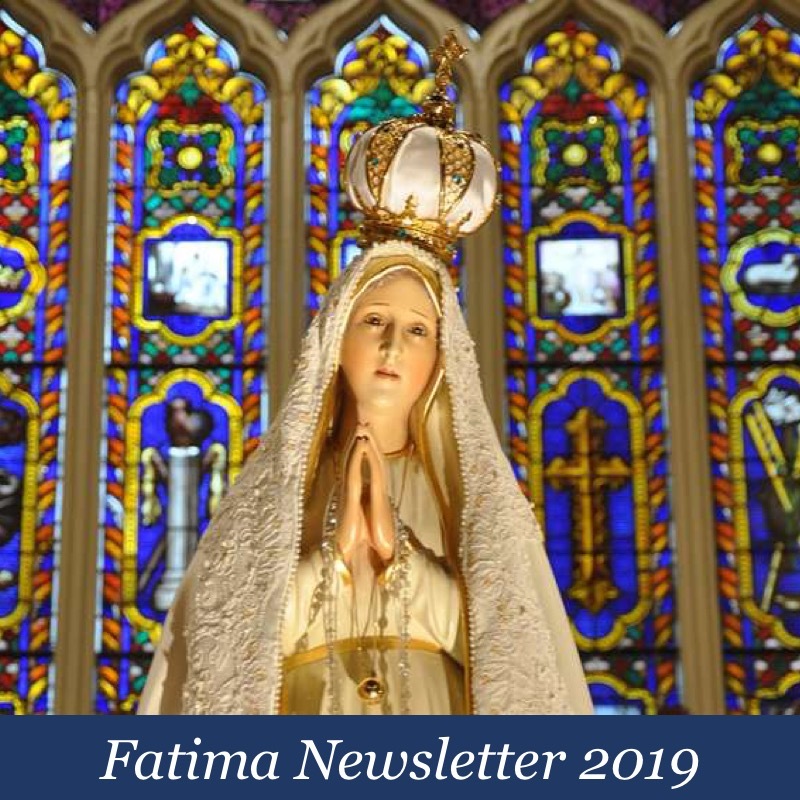 Only what we CAN do is to live in accordance with Church’s perennial teachings and pray for conversion of people, including hierarchy of the”church”, and not to support and take part in this current madnes and apostasy. We, lay people, are not required to be experts in theology, however, only a little common sense is required to recognise: “But though we, or an angel from heaven, preach a gospel to you besides that which we have preached to you, let him be anathema.”(Gal.1:8).